The marijuana industry absolutely transformed before our eyes in 2018. After decades of being a taboo topic, legal weed became a legitimate business model with the passage of the Cannabis Act in Canada. 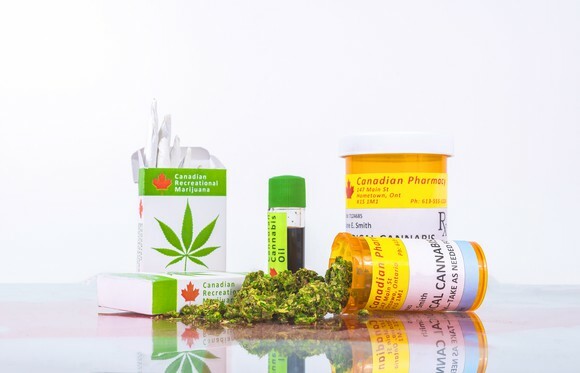 Although it'll take some time for the industry to get up to speed, the legal Canadian pot market could be generating in excess of $5 billion in sales within a few years. The same could be said for the U.S. market, even though marijuana remains illegal at the federal level. With 32 states having legalized weed in some capacity, 10 of which allow adult-use pot, the dollars are starting to roll in. 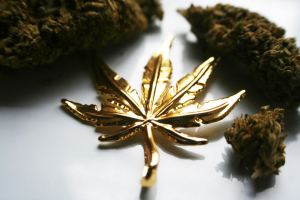 One company really looking to take advantage of this North American expansion is KushCo Holdings (NASDAQOTH: KSHB), a company yours truly has dubbed my favorite marijuana stock of 2019. It also just so happens that my favorite pot stock reported its fiscal first-quarter operating results last week, which includes a period of time after Canada had legalized recreational marijuana. As you might imagine, there were a number of positives in KushCo's report, but also two negatives that demonstrate no marijuana stock is a sure thing, favorite or not. Easily the most exciting aspect of KushCo's quarterly report was its top-line results. For the quarter, sales grew by 186% from the year-ago quarter to $25.3 million, representing the highest quarterly revenue in history, as well as 26.5% sequential growth from the fiscal fourth quarter. This pretty clearly shows that KushCo's ability to penetrate niche aspects of the cannabis industry are working like a charm. For those of you may not be as familiar with KushCo, this is a company that's best known for its packaging and branding solutions for the marijuana industry. Servicing more than 5,000 global growers, KushCo is responsible for providing tamper- and child-resistant packaging solutions that are compliant with federal, state, and/or local laws. Furthermore, since competition is on the rise, the company facilitates packaging design and branding to help pot-based businesses and brands stand out. The other thing investors should love about KushCo's Q1 report is the company's niche position in the wake of the Farm Bill becoming law in the United States. 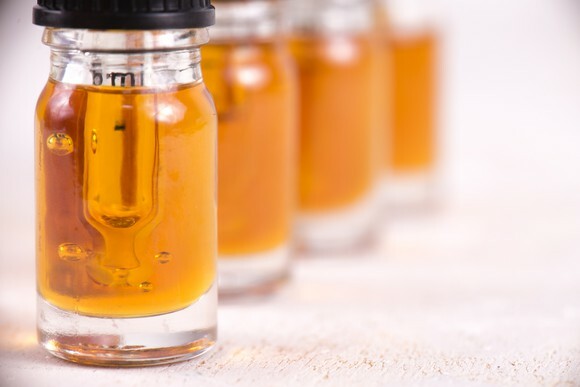 President Trump's signing of the Farm Bill in December legalized hemp and hemp-based cannabidiol (CBD) oil. CBD is the nonpsychoactive cannabinoid best known for its medical benefits. Aside from packaging and branding solutions, KushCo is also a major player in the hydrocarbon gases and solvents business. Hydrocarbon gases are needed in the production of cannabis oils, such as hemp-based CBD oils. In other words, demand for these high-margin products should rise now that they're legal, putting KushCo in a position to thrive. Said CEO Nick Kovacevich, "With the recent signing of the 2018 Farm Bill into law on December 20th to legalize industrial hemp, we expect to see more large-scale production and sale of CBD oil and related products, fueling demand for our packaging, supplies and labeling solutions, as well as for our solvents and marketing and branding services." As an addendum, Kovacevich also spoke of his expectation that KushCo's vaporizers would see an uptick in demand as vape products are expected to get the nod in new markets in 2019. But it wasn't a perfect report. There were two figures that stood out as worrisome for investors. First, KushCo ended the quarter with just $3.03 million in cash, down from $13.47 million in the previous quarter. According to the press release, "rapid demand for product and timing of inventory purchases leading up to Chinese New Year have resulted in a decreased cash position and overall working capital headwinds, through which, the Company is actively managing." Translation: Expect a capital raise anytime now. 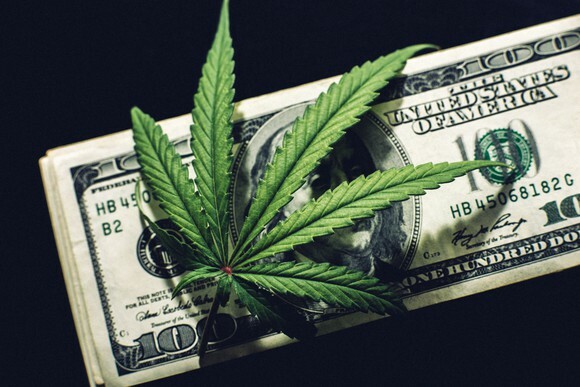 Because KushCo operates in the U.S., and most financial institutions in the States want nothing to do with nondilutive forms of financing, the company is almost certainly going to turn to the secondary market to sell shares and raise capital. 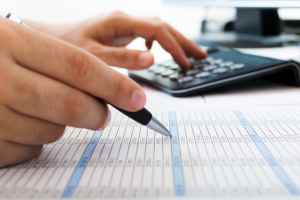 While common stock issuances have worked wonders in terms of raising capital for the weed industry, they also weigh on the value of existing shares, and can lessen earnings per share for profitable companies. Even KushCo isn't immune to the share-based dilution that's plagued this industry over the past year. The second concern stems from the company's gross margins, which came in at 12%, or 20% if you prefer adjusted gross margin. Either way, this is well below the 30% minimum gross margin that Kovacevich is targeting for the company. KushCo blamed supply chain constraints that led to importing products by higher-cost air freight for the decline in margins. Not surprisingly, it led to another quarterly loss for KushCo of $8 million, on an adjusted basis. "We have implemented a number of strategic operational initiatives that will drive our gross margins back toward 30% as we scale the business, with improvements in margins expected in the second half of fiscal 2019. These efforts are centered on supply chain fortification including upgrading our China-based producers to support higher volumes. We are also improving operational processes through the rollout of a new Warehouse Management System, which will allow us to improve inventory accuracy, expand gross margins through a more efficient supply chain and support the overall scaling of our business. Furthermore, we are shifting toward a higher-margin product mix driven by new product launches to take place over 2019." Does this shake my confidence in KushCo? No. But it's a good reminder that no pot stock is perfect, and there's a learning curve for each and every aspect of the cannabis industry.